By Nick Howell on 08/22/2013. I don’t normally write about stuff that isn’t tech-related on here, but considering how intimately I was involved with this process, I wanted to share it with my readers. One of my best friends, @cheekydirtybrit, or “Brit Chris” as a lot of you know him, approached me earlier this year about producing a “new media” sitcom that would be distributed on YouTube, and passed around the festival circuit this fall and next year. I loved the simple premise of two regular everyday guys in an apartment, surrounded by ridiculousness (zombie outbreaks, aliens, vampires, and Satan), and offered my support both financially, as well as technically. For those that do not know, I have some light background in post-production doing editing, color correcting, sound mixing, etc. Nothing professional, but lots of hobby projects. I know my way around Final Cut. So when the opportunity presented itself to be the editor of this new series, I jumped on it. At the same time, I also made the decision to fully invest in Final Cut Pro X. I’m sure most of you have heard the complaints from the Entertainment community about Apple destroying FCP, but after spending the last few months in FCP X, I would earnestly disagree. It is elegantly simple, and they have removed a lot of the annoying stumbling blocks. The only thing, in my mind, that is still a problem for me personally, is the ability to migrate from FCP 6/7 -> FCP X. Projects don’t come over easily without some XML wizardry. The final outcome of the show was six ~5min episodes, or put all together, about a 30 minute pilot. The first four episodes are live now, and the finale-esque Ep5 and Ep6 will be up in the next couple of weeks (after I get back from VMworld). We’re hoping to shop the concept around the festivals and various cable networks to see what happens, but for now, we just want everyone to enjoy the content. We’re really proud of what we’ve been able to put together, and I hope you’ll give us your support by posting, tweeting, liking, sharing, etc. 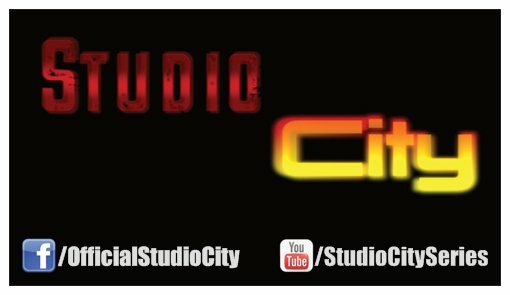 http://facebook.com/OfficialStudioCity –> LIKE the page for updates! http://youtube.com/StudioCitySeries –> SUBSCRIBE/LIKE/SHARE the videos! Thanks again for your support, and let us know what you think in the comments of each video! We’re really anxious to hear what people think, and if this is a concept people want to see more of!